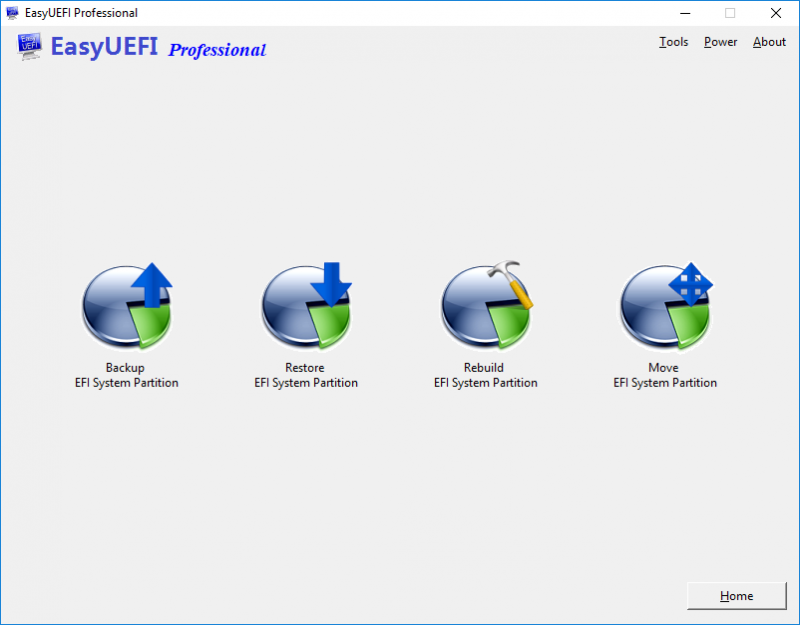 EasyUEFI is a handy and useful Windows software to manage the EFI/UEFI boot options. You can use it to create, delete, edit, clean up, backup and restore EFI/UEFI boot options, specifies a one-time boot entry for the next restart, or change the EFI/UEFI boot order without entering BIOS setup. With EasyUEFI you can also build a bootable Windows PE image. After building the image file, you can use it to create a bootable USB flash drives or use 3rd-party burner software to burn it to CD/DVD. If you suspect your system is failing to boot because of a missing or corrupt EFI/UEFI boot option, then you can use this bootable media to fix this EFI/UEFI boot issue. EasyUEFI is 100% clean, No ads, adware, spyware, trojans or any other malware bundled!